On a storm-swept terrace high above the streets of Manhattan, Mason Starling holds the fate of the world in her hands as her beloved Fennrys lies bleeding at her feet, his life hanging in the balance. The ancient Norse prophecy of Ragnarok stands poised on the knife's edge of fulfillment. Mason's transformation into a Valkyrie—a chooser of the slain and the one who will ultimately bring about the end of the world—is complete. Still, she remains determined to thwart her father's apocalyptic desires. But whatever is to come won't happen because of a prophecy, what Gunnar Starling plans, or what the fates have already decided. What happens next will be up to Mason and the Fennrys Wolf. And the world had better hope they haven't reached the limits of what their souls and swords can survive. 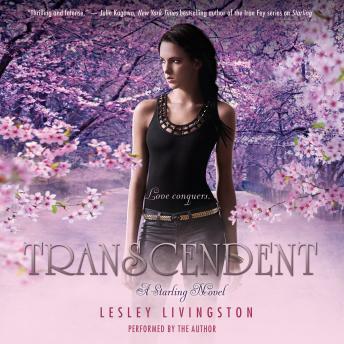 Lesley Livingston has taken intense action and breathtaking romance to new heights in this epic conclusion to the Starling trilogy—a story readers will not want to put down.